Bio: A fierce and dedicated sentry, Tigertrack patrols Autobot installations with unmatched vigilance. His incredibly acute sensor packages enable him to spot approaching enemies through extreme low-visibility conditions, and can even see through camouflage screens and other optical illusions. Combined with powerful weapons and blazing speed, Tigertrack is one tough 'bot to get past! Man, I've wanted Tigertrack for the longest time. Or it feels like it, at least. 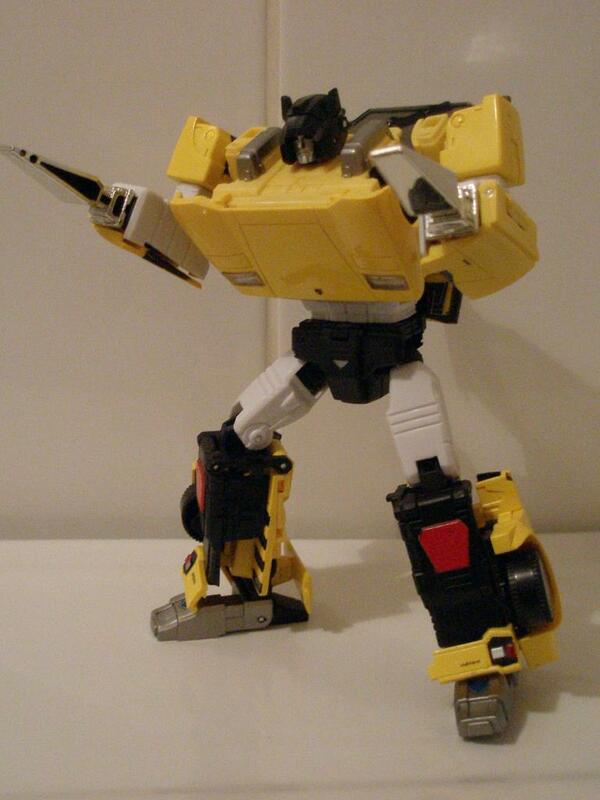 Back in 2002, Transformers fandom was a quietly thrilling time for me. The turn of the century suddenly saw the old Marvel comics back in print (thank you Titan) and, joy of joys, re-releases of the original Transformers toys (thank you Hasbro). As giddy and exciting as I found those, I was also fascinated by the origins of the Transformers toys, which were scattered over half a dozen Japanese toylines, chief among them Diaclone. I liked seeing familiar faces in different get ups, and ended up picking up a few of E-Hobby's 'exclusives' which brought the Diaclone colours for a number of these toys into the Transformers universe, making legitimate characters out of them. For the most part, anyway. 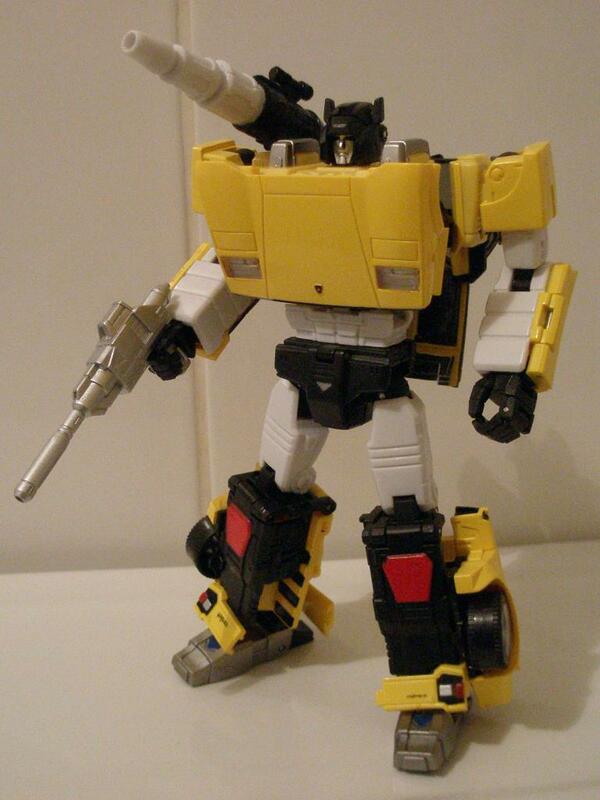 Probably best not to dwell on the mess that was made with the now nameless Minibot recolours. 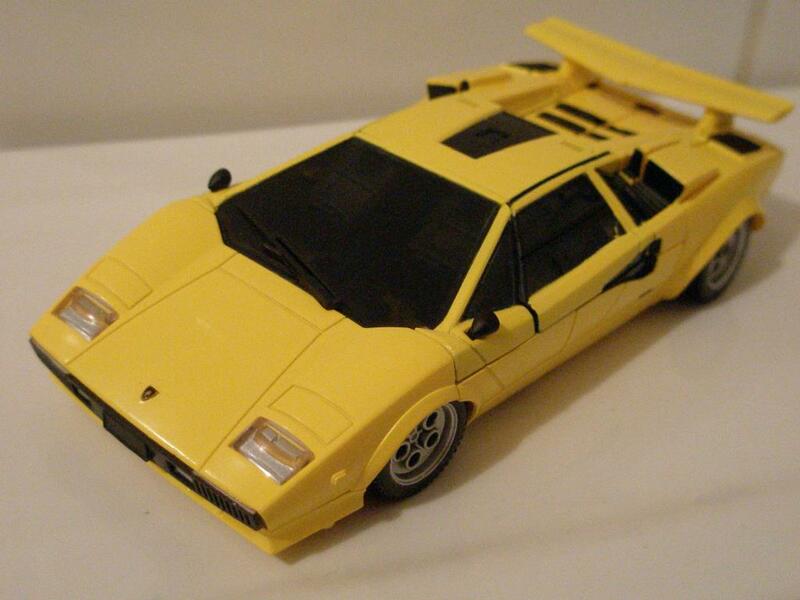 The Countach mould which had spawned Sideswipe had had many colour variants as part of the Diaclone line. 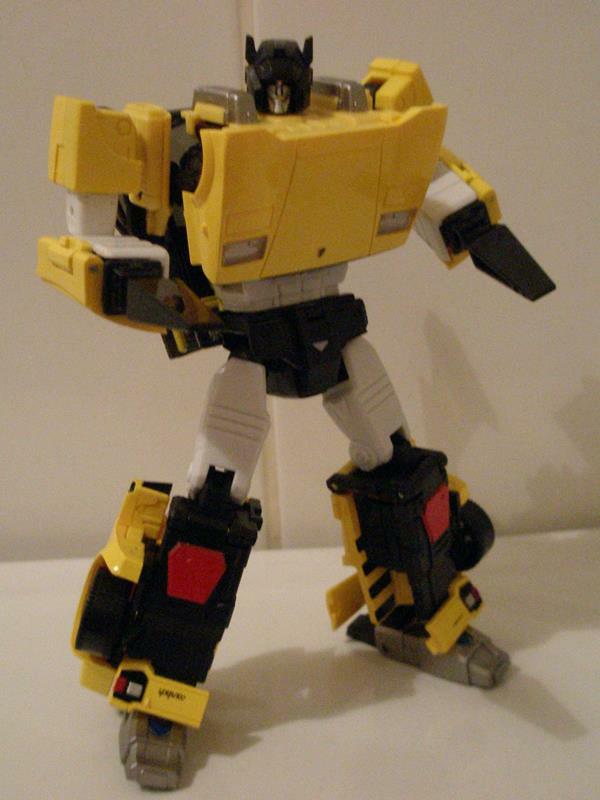 Whilst I snapped up Deep Cover and Clamp Down (yes yes, he's the emergency service version that gave us Red Alert, but the base is the same, so shut up at the back) and was suitably impressed by them (especially the oddly not-a-Decepticon Deep Cover with his emo colour palette), I was blown away by the yellow Sideswipe. I don't know why. There's just something that appeals to me about it on some gut level. Whatever, I just thought it was proper ace and I wanted one. 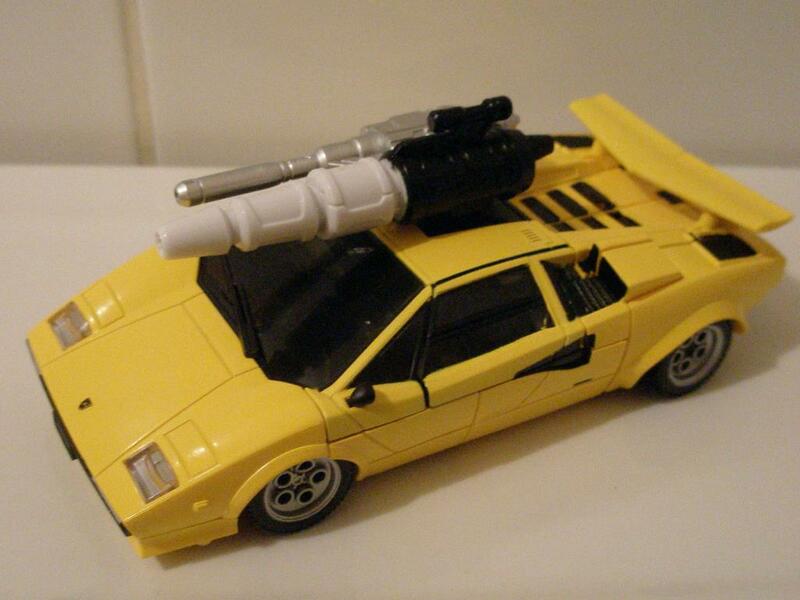 There's also some moderate intrigue with this being the intended toy for Sunstreaker. The figure was eventually re-released, but only as a frustrating limited edition Figure King Magazine mail away effort in a boring box, which meant he instantly cost an arm and a leg on the aftermarket. So he's become one of my 'if only...' collecting fantasies, which is tempered by the reality of handing over a wedge for what is, at the end of the day, a fairly unremarkable toy, being a very silly thing to do. Fast forward ten years, and we have the newly re-energised Masterpiece line that has fandom all a-swooning. Me, I've been less impressed. Whilst I love my Masterpiece Grimlock and am very impressed with Masterpiece Soundwave and his five little friends, I've been unimpressed with the Masterpiece Autobot Cars. Mainly I think, because I liked how Binaltech had done something similar a decade ago, by having the whole licensed vehicle to robot thing going on, but with the added benefits of greater detailing, glossy paint, rubber tyres, chromed parts, die cast and even things like steering. Although there were some stinkers, the line to me, was a proper updating of those familiar old 'Geewun' faces. These new Masterpiece cars don't feel like that. They're totally plastic and roughly the same size as a modern Voyager scale figure, which ultimately makes them glorified Generations figures. 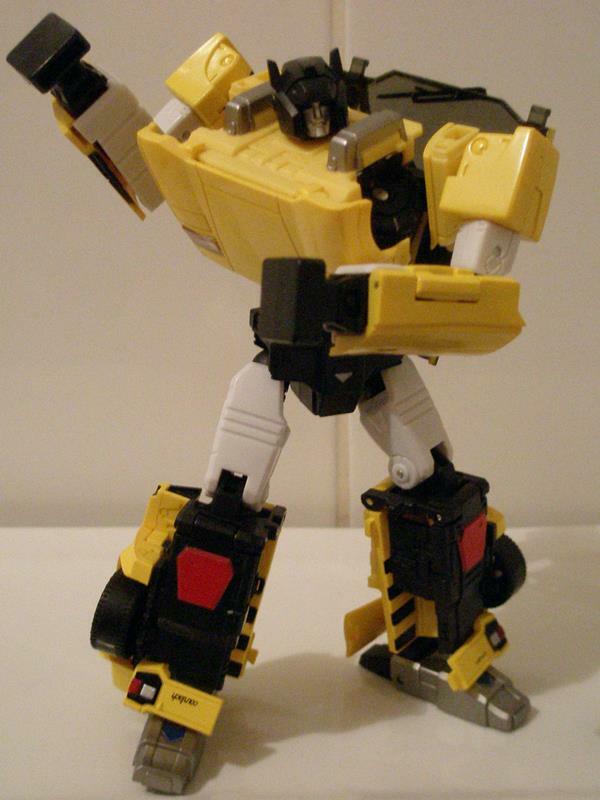 Of course, being the shallow hypocrite that I am, my interest was piqued by the announcement that the Sideswipe mould would be getting a recolour ...as Tigertrack, you know, the one guy I really want. Better yet, this version isn't some super limited, never going to own it in a million years effort, but something with a modest production run that means if you're interested and you like the less obvious stuff, there's a strong chance you can get your hands on it. Still comes in a boring box, though, with him all greyed out. Rubbish. Although the seller I bought this off did pack in the oddly sold Amazon.jp chromed piledrivers which made up for this. A bit.